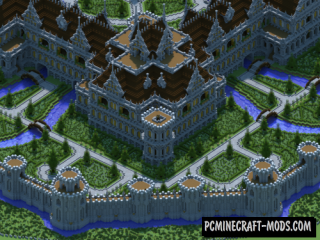 On this map is built a majestic French Palace, which is located in the middle of a beautiful garden. Go inside and take a walk through these incredible halls that will surely immerse you in the atmosphere of high society. Behind these formidable walls you will find a very comfortable and small Kingdom, inside of which are built a variety of buildings of distant medieval times, for example: town hall, Church, shopping malls, houses. 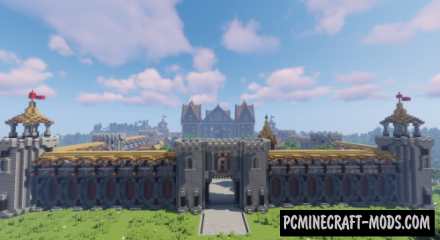 The author of this map is likely a very long time playing elder Scrolls Online and decided to recreate the famous temple located in Skyrim, right in his Minecraft! He turned out pretty nice building, located very high in the snowy mountains. 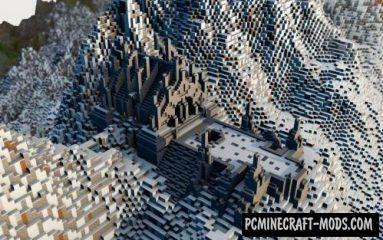 And now you personally will be able to walk om without leaving minecraft! On this map you can find yourself inside a real magic library, floating in the sky and hidden among the sharp rocks for safety. Travelers will be able to find inside it not only forgotten ancient knowledge, but also a very safe haven. 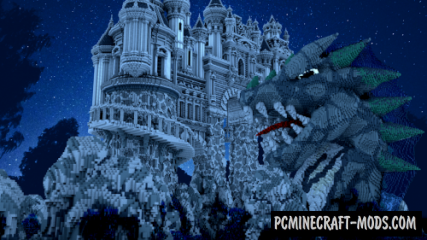 Avarderon Castle-a very cool map on which the author built a majestic castle, which is located on a rather sharp and high rocks, as well as qualitatively decorated with a huge statue in the form of a dragon. 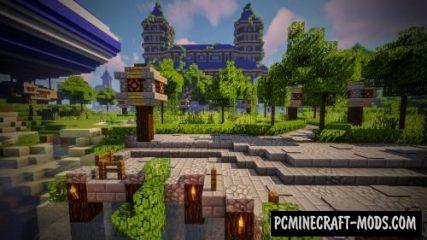 In this project, the author has built is unique and very colorful castle, and surrounded it quite interesting buildings, among which is the lighthouse, the harbour, the Church, the gladiatorial arena, the big tree and the airship. 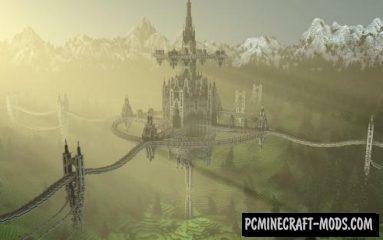 The construction of the Castle and Gladiator Arena map took about two weeks. Amazing underwater construction is waiting for you on this map, every meter of which can be called a real work of art! 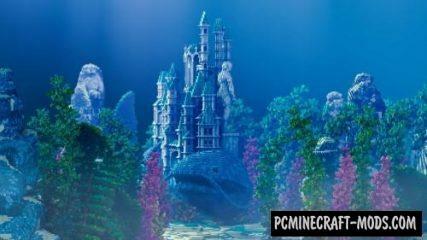 The center of creation will be a majestic city-castle, built on the back of a huge fish. 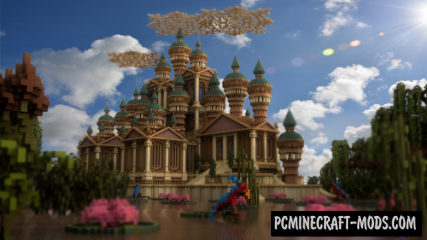 Mega building, which is a large and extremely luxurious Palace, located on a very unusual swampy area. This creation is meant by the author as a spawn, but its application depends on you and your desires. 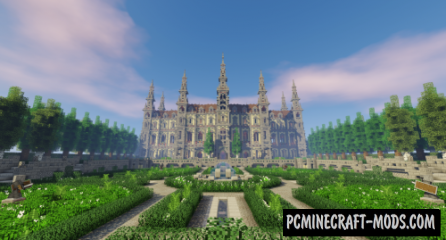 Here the author built a huge Victorian Palace, which is surrounded by majestic gardens. 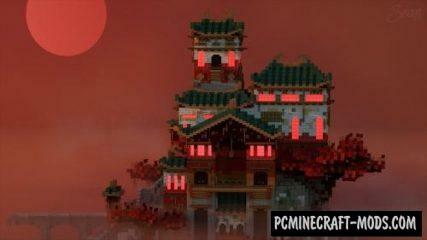 It is assumed that this building will be used as a spawn, but it is also perfect for almost any of your ideas. This is a very colorful and peculiar map, which is two Islands (large and small) with unique buildings connected by a destroyed bridge. On the Islands themselves are houses that are created in the Japanese style.